How to claim COB health insurance benefits - Coordination of Benefits (COB) is a term in health insurance. If a customer has two or more health insurance at a different insurance company, he or she can utilize both through the COB scheme. Type of health insurance in question is a product that uses the principle of indemnity (pay claims according to losses experienced by customers with a maximum of the product limit). This product is usually equipped with cashless card facility, not insurance type of daily reimbursement (cash plan) and not also critical illness insurance. 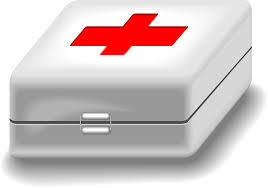 - When hospitalized, customers use one health insurance, called the first insurer. If the product has a cashless card, the customer simply shows the card to the hospital admin officer. The Customer can not use two cards at the same time. - If the first insurer has paid the entire cost of the hospital bill, then the customer can not make a claim to the other health insurance (called the second insurer). This does not apply to COB here. - But if the hospital bill exceeds the limit that can be borne by the first insurer, then the customer can claim the difference in cost or excess claims to the second insurer by way of reimbursement. This is where a COB scheme or benefit co-ordinate applies. - The second insurer can only pay according to the limit of benefits he has. If the second insurer is unable to pay all the difference, and the customer has a third health insurance, then the difference can be claimed to the third insurer. With the principle of indemnity, no matter how much health insurance products the customer has, he can only get the maximum reimbursement for the cost of the hospital, with the maximum limit on the limit of the health insurance product he takes. In other words, customers can not profit from health insurance. That is the purpose of making COB scheme or benefit coordination. Another case with the daily insurance product or cash plan, which provides compensation for the benefits taken multiplied by the number of days treated. For example: compensation per day 1 million, treated 5 days, then get money 5 million. This type of product can double claim and the claim was allowed to use a legalized photocopying receipt. The basic function of this product is not to pay for hospital fees, but to replace income that may be lost during non-employment and other expenses beyond medical costs not covered by health insurance. Benefit from this insurance is transferred directly to the customer, not to the hospital. And another with critical illness insurance, which provides the sum insured if the customer suffers one type of critical illness that is borne. The amount of money is given for the sum insured in the insurance policy, for example 500 million or 1 billion, and given directly to the customer. This product can double claim with health insurance as well as with critical illness insurance from other companies. That is, although health insurance has covered the full cost of critical illness, this product will still provide the sum assured according to the value of the agreement. -The original Co-ordination Coat of the first insurer covered with details of fees paid and not paid. This document includes copies of all claims documents approved by the first insurer, including claims approval certificates, receipts, cost details, prescription copies, and diagnostic test results. - Original charge receipt (claim excess) paid by the customer along with the cost breakdown of claim excess. -All documents are sent to the headquarters of the insurance company or deposited through the agent.